Ever since her mother was murdered by monsters five years ago, Shara Isador has been on the run. Alone, scared, and exhausted, she's finally cornered in Eureka Springs, Arkansas. Out of hope with nowhere else to turn, she's ready to end it all when two men come to her rescue. 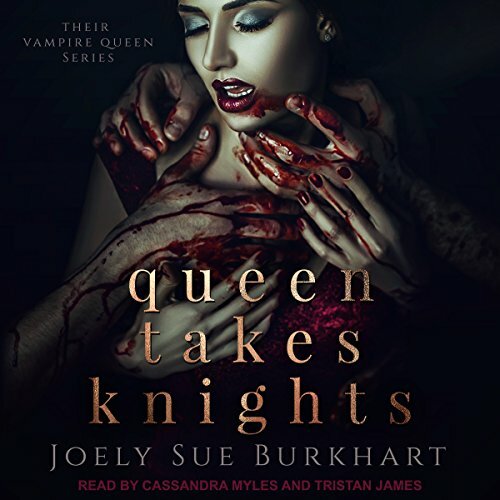 They say she's a lost queen descended from Isis, and they're her Blood - vampire knights sworn to protect her. It all seems like a crazy nightmare, until the alpha offers his blood. Then she realizes she's never wanted anything more. Except maybe his body... and his friends', too. But they're not the only ones searching for a lost queen. Shara must learn how to wield her new powers quickly and conquer her fears if she intends to keep them all alive. Contains mature themes. View More In Gay Romance.